The 8-passage, LT Series rotary unions feature a compact and lightweight, all-aluminum construction ideal for a number of automation and robotic applications requiring air/gas service. 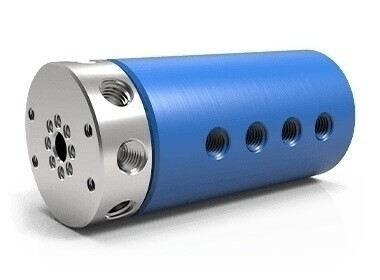 For more information, see LT Series 8-Passage Rotary Unions. The use of liquid media is not recommended for this product. Please select from one of our other product lines or consult DSTI if your application requires use of liquid media.